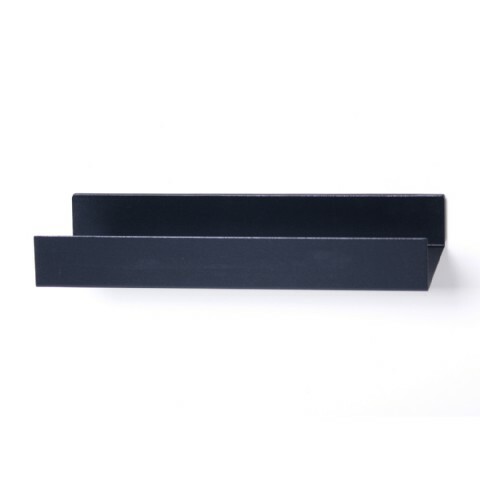 Shelf U has magnets built into the back side, which fasten the element onto the steel plate. Therefore, you can change its position from one place on the back plate to the other, without using any kind of tools. On the front side, the shelf has a 40 mm thick edge, which prevents things slipping off of it, and makes it perfect for storing taller glasses and cups. The steel shelf is very handy for storing spices, teas, coffee� In the bathroom it comes very useful over the sink or near a shower, for soaps, shampoo, creams, toothbrushes and toothpaste� The Shelf holds up to 2,5kg weight, loaded symmetrically.